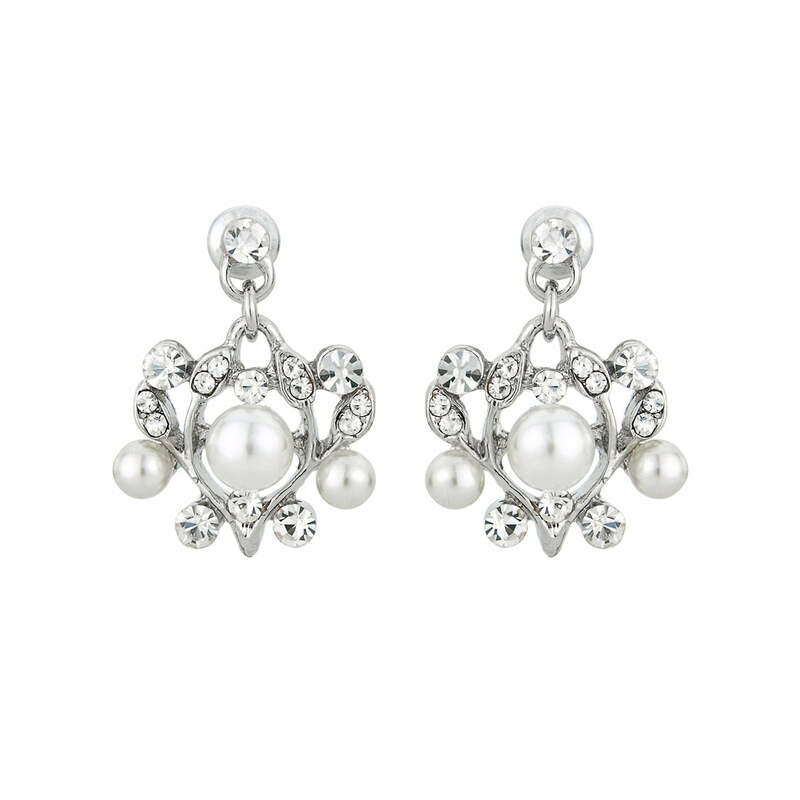 Inspired by diamond and pearl jewellery from the 1940s, these intricate drop earrings are divine. Taking inspiration from 1940s diamond and pearl jewellery, these silver tone drop earrings are beautiful. Featuring an ornate silver tone scroll design adorned with sparkling clear Austrian crystals and light ivory faux pearls suspended from a single crystal stud, they ooze the timeless style of one of the most glamorous eras and are perfect for all occasions. Beautiful wedding earrings for brides embracing classic 1940s style, coordinate with Precious in Pearls Necklace and Bracelet to compliment an antique style gown with timeless class. For show stopping old school glamour, team with dramatic jewelled headpiece worn at the side of the head in a loose side chignon.